Marketresearchreports.biz announces the addition of a report titled Global PV Power System Industry 2014 to its offering. 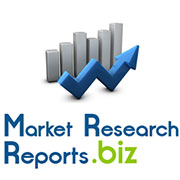 Explore all upcoming market research reports at http://www.marketresearchreports.biz/upcoming. This market research report on the PV Power System market offers a detailed overview of the structure and market dynamics of this industry. The report also provides a detailed summary of this market in terms of segmentation, application, industry chain structure, and growth trends. The introductory part of the research study provides a detailed description of the Global PV Power System market, industry chain analysis, process of auto dismantling, and various industry barriers within this market. The report also attempts to provide a market forecast using proven industry standard methods that utilize all current and historical data. View the report at http://www.marketresearchreports.biz/analysis/243135.